Best Eurovision Song Contest – ever! I don’t belive that I have enjoyed a Eurovision Song Contest like the one today since… Well… Ever! I remember watching and probably enjoying it as a kid – Probably cheering for Denmark. Not because it was the best song, but just because I am danish. Today was different. 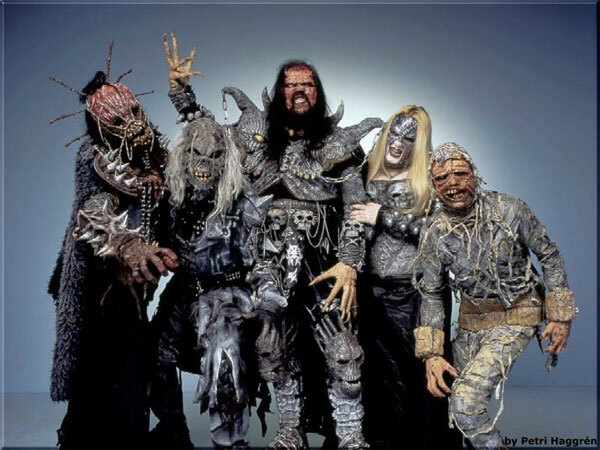 Finland stepped out of the line of countries providing an endless stream of more or less horrible pop songs and showed up at the Eurovision with Lordi. Not surprisingly they are inspired by the glamour rock guys from KISS (You know: Gene Simmons and crew).